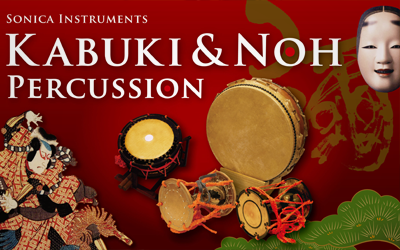 Kabuki & Noh Percussion is a fascinating collection of authentically played Japanese percussion instruments and noisemakers produced by Sonica for BFD3 and BFD2. Well-preserved vintage mics, Neve preamps and an anechoic room similar to the bamboo-curtained orchestra room in a Kabuki theatre were used for the recordings. 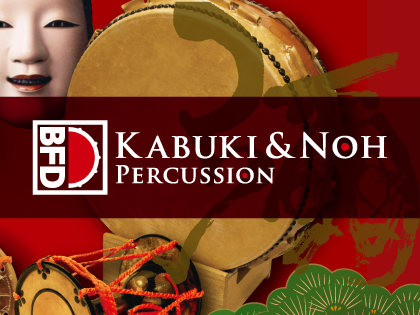 Reverb can be added as needed - Kabuki & Noh Percussion preserves the true character of the instruments' sound. Also included are over 150 Grooves which offer instant access to real nagauta and Noh performance rhythm patterns.